Total Eclipse Holster - S&W M&P 9/40/45 The Blade-Tech Total Eclipse is built off the popular Eclipse design with two major differences. The contouring curve in the holster is now in the attachment itself. Attachments are available in straight drop and FBI cant. In addition, we have included the popular Eclipse IWB conversion kit, which features our new Klipt attachment. 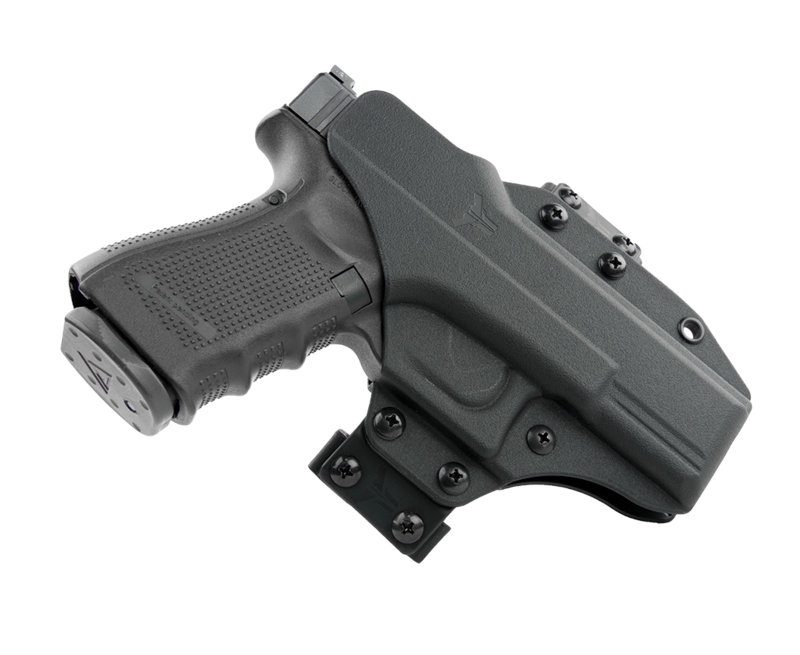 The easy-on, easy-off Klipt attachment allows the user to quickly put their holster on without removing their belt. 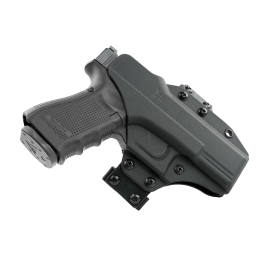 With a six-in-one carry system that accommodates for both inside/outside carry for both right and left hand users, it is truly one of the most versatile holsters available on the market. Package includes FBI cant attachment which allows you to change between straight drop and FBI cant.